Your school website is a hugely powerful tool for portraying your school in the best possible light. 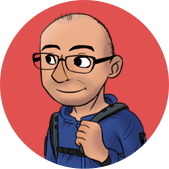 In this guest post, David Fann tells us the 3 most important things that he looks for in a school website. He speaks as a highly experienced Headteacher and inspector of schools. David Fann is a qualified teacher having taught both infant and junior pupils. 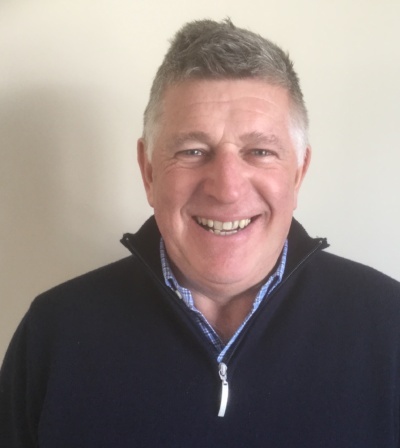 He has considerable leadership experience as a headteacher for over 27 years in many, primary schools and was involved at a national level in assessment and curriculum planning. David was an NLE specialising in supporting large primary schools in difficulty in Lancashire and Blackpool. He is currently an educational consultant, executive headteacher and experienced inspector with expertise in EYFS and mathematics. A school’s website is a key outward facing statutory part of school leadership and management. It forms the foundation of the relationship between any school or academy and pupils, parents, the community and regulatory bodies such as Ofsted. As such schools must ensure that their website reflects the school and its ethos. Too often websites are neglected and are not regularly updated or revised. This can be a key indicator of inconsistent leadership and management of the school. A school’s website should reflect the ethos and values found in the school. Too often this is not the case. The introduction and welcome by the Headteacher is key, along with the extra information contained within the website. The unique features of the school (unique selling points) are vital to demonstrate the individual character of the school and learning experiences that pupils participate in on a regular basis. This can help emphasise the rich and broach curriculum that the school delivers to all its pupils. Are parents and other website browsers able to see a regularly updated range of media that celebrates the achievements of the school and its pupils? This can help regulatory bodies find and understand the richness of the curriculum at that school. It also reflects the leadership style and vision for the school. Vibrant and high performing schools usually have an exciting, informative and logical website. Does the website encourage prospective parents to visit the school and to send their children there? Is it a school that they would like to go to? A key component of this is for the school to check that the website is easy to navigate. Are experiences, news and events regularly updated and on the front of the website? A school’s website is the vehicle by which a school can demonstrate that it has fulfilled the statutory requirements of any educational establishment. As such all the statutory policies and statements should be easy to find. Lots of schools have now adopted the approach of having a statutory area on their home page. This allows regulatory bodies such as Ofsted to examine the separate statutory requirements more easily. It is important to mention that it is the school’s responsibility to keep this information up to date. Key policies such as safeguarding and SEND must reflect current practise and reflect the particular challenges facing the school and its pupils. Too often the safeguarding policy is out of date with the wrong key designated staff listed and not reflective of the particular safeguarding needs found in the school and its neighbouring community. As part of developing a strong safeguarding culture at the school it is imperative that schools following the correct GDPR guidelines to ensure that parental consent is sought before pupil’s pictures and names appear on the website. Part of the statutory requirements includes reports on pupil premium, PE grant and other funding allocations. These need to be linked to pupil data and demonstrate the positive impact that such funding is having upon the performance of pupils within the school. Links to the last Ofsted report and DFE are another requirement. I have found on several occasions that these links don’t work and are not connected to the relevant information. Is all the governing body information up to date and easy to find? Action: Why not ask neighbouring schools to check each other’s website? This is invaluable to ensure that all key statutory information is present and accessible to parents and other website browsers. Another key feature of a website is to keep parents and other interested parties informed of the day to day activities of the school. Is the website easy to navigate and is key information such as school holiday dates, times, after school clubs and contact details readily found? Parents and regulatory bodies do not want to spend a long time finding simple information that is hidden. A website should be logical and user friendly. Can prospective new parents get a flavour of the school and the expectations from the website? Does it show the school off at its best? Could the website be even better in demonstrating the exciting opportunities that exist in the school? Schools and pupils become more environmentally aware. A key driver for the increased use of the school’s website will be the move to a more paperless approach. Therefore, the website needs to be easy to navigate for parents to find current information such as weekly newsletters. Going forward into the next academic year schools will need to demonstrate that they provide a rich, broad and challenging curriculum. Websites should already contain this information. However, schools will need to reflect whether the existing curriculum website information demonstrates their curriculum intent, implementation and impact. Can a prospective parent, of say a Year 4 pupil, find out using a school’s website what their child will be learning in the current and forthcoming academic years? Does the information enable parents to support their children at home by taking them to places such as museums or art galleries in line with the school’s curriculum? This will become a very key area for every school’s outward facing website. Join us for a free webinar over the next few weeks where we will tell you everything we've learned about maintaining an Ofsted ready website. 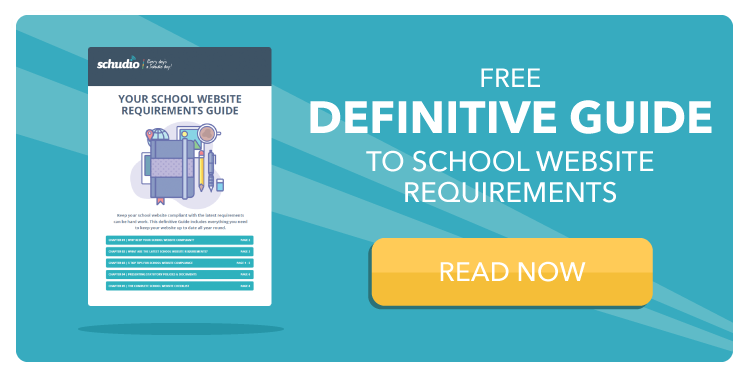 You'll learn the tips, tricks and secrets that we use to maintain hundreds of school websites. Plus, we'll give you the tools to exceed Ofsted's expectations and stay compliant.